The ceiling of the Monks Refectory barn at Notley Abbey looks fantastic with a fairy light canopy draped from the beams. On this occasion we installed this single-swag canopy using warm white lights, which complemented the simple elegance of the couple’s style perfectly. 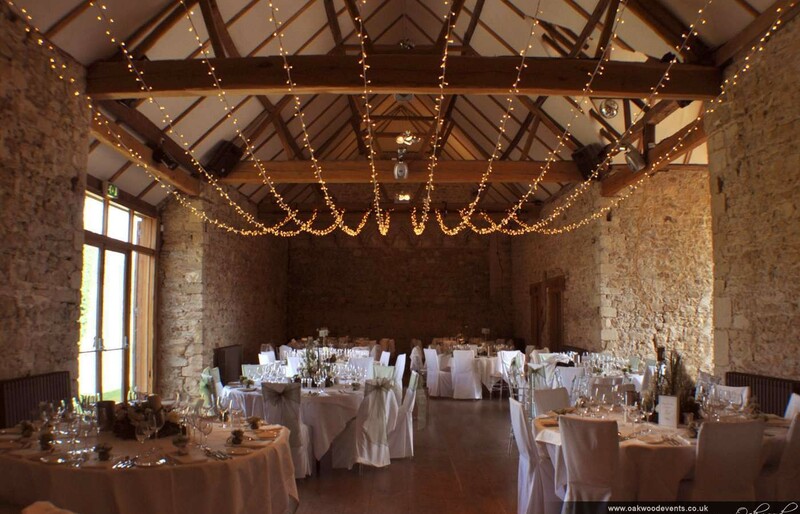 The barn lends itself to several different styles of fairy light canopy, monogram projection, paper lanterns and chandeliers. 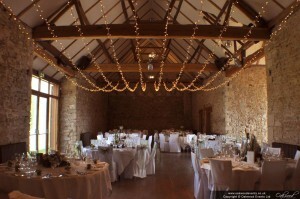 For more ideas for wedding lighting at Notley, see our main Notley Abbey lighting page. I just wanted to say a huge thank you for providing the fairy light canopy at our wedding at The Tudor Barn.